"We just did our civic duty," he said. "We weren't happy with the verdict but that's what the evidence said." 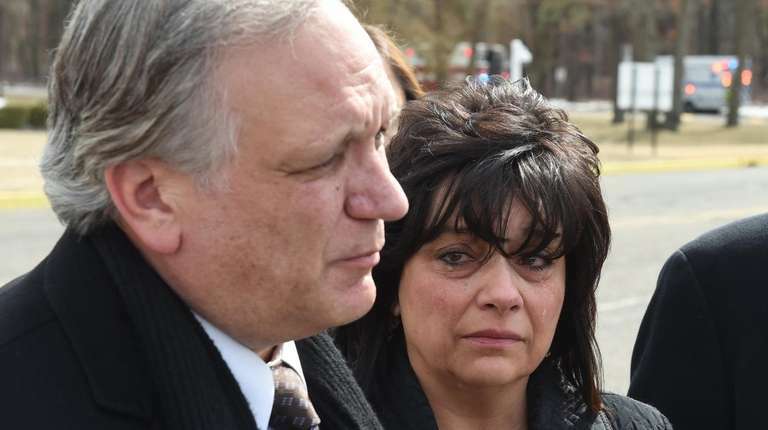 The jury that convicted Edward and Linda Mangano on corruption-related charges wanted the couple to be innocent as it began the six days of deliberations and had little use for the testimony of the government’s star witness, jurors said Friday after the verdict in federal court. “We had so much to go through. Most of us went in there with the intentions that they were innocent, but as we started going through, the evidence was just starting to reveal ultimately what became our verdict,” said jury foreman Joseph Marino, 62, of Queens. “It was a long process, an emotional process,” said Marino, a maintenance supervisor who had served as a juror three times before. “We wanted them to be innocent, that’s what it was. We’d been looking at these people for six weeks,” Marino said. Marino, who was voted foreman when the jury started deliberating, was an alternate juror until he replaced a juror with a misconduct issue. He said the jurors kept notes and made a timeline of the evidence. Of the star witness for the government, former restaurateur and onetime Mangano friend Harendra Singh, Marino said: “Most of us didn’t think very much of him. “When we reached our decision, even if Singh didn’t testify, we would have come to the same decision that we had,” he said. Another juror, who didn’t want to be identified, agreed the deliberations were orderly. The jury took votes at the beginning of each day to see where each member fell, the jurors said. They used “sticky notes” to write down parts of the case, including the timeline. First, the panel focused on the charges against Linda Mangano — that she lied about her “no-show” job for Singh to authorities. Then it tackled the bribery, extortion and wire fraud counts against her husband, the juror said. Linda Mangano’s attorney, John Carman, had argued that the false-statement charges against her were shaky because federal agents did not record her statements verbatim. The juror said the panel had to put aside whatever sympathy members might have felt for the defendants. Jurors also didn’t like former Oyster Bay Deputy Supervisor Leonard Genova, who testified with immunity from prosecution. He admitted taking bribes from Singh. Other jurors declined to comment. The former Nassau county executive was charged with taking bribes — including his wife’s “no-show” job — in exchange for three official actions. But jurors found the evidence convincing enough to support just one of those allegations, that he pressured Town of Oyster Bay officials to guarantee loans for Singh. 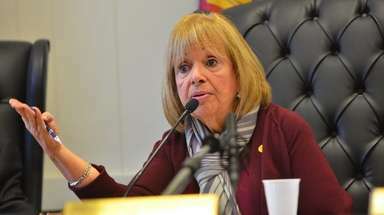 Linda Mangano’s job began in April 2010, within days of the town’s outside attorney, Jonathan Sinnreich, warning it not to guarantee loans for Singh. 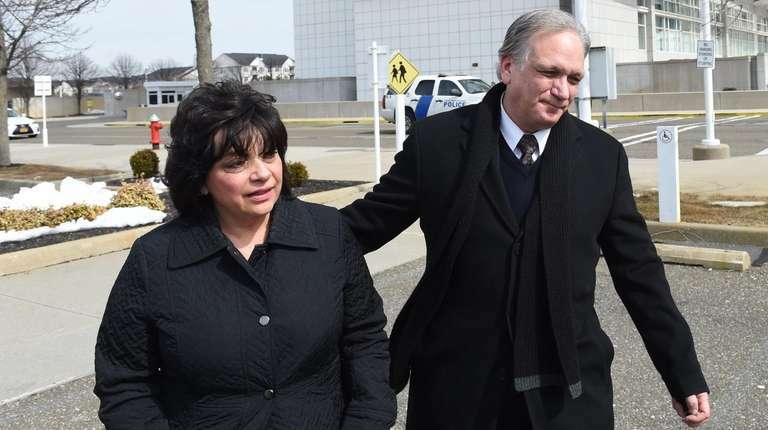 Prosecutors say the job drove Mangano to lean on town officials for Singh. Both jurors said they found testimony from Sinnreich and Rivkin Radler managing partner William Savino to be reliable. The witnesses both testified about Mangano’s presence at a meeting in the campaign office of former Oyster Bay Supervisor John Venditto. The meeting focused on the town backing loans for Singh, the government said. Prosecutors had also said Mangano took bribes from Singh to steer two county contracts to him. 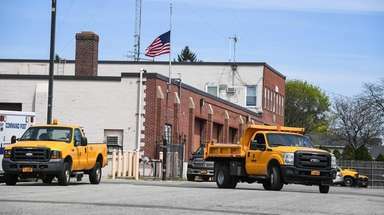 One was a contract to supply bread and rolls for the county jail, and the other was to feed emergency workers at the county Office of Emergency Management during superstorm Sandy. The jury did not convict him on charges related to those contracts. The juror said he believed that such corruption extended to governments in other places. “I think that sort of thing goes beyond Nassau County,” the juror said. Corruption on LI: Mangano and 9 other cases to knowOver the past few years, prosecutors have charged LI politicians and public officials with crimes ranging from tax evasion to bribery. Timeline of the Mangano corruption caseFormer Nassau County Executive Edward Mangano and his wife, Linda, were convicted on corruptiuon charges ... Mangano, wife guilty of corruption chargesA jury has found former Nassau County Executive Edward Mangano guilty of corruption, while also convicting his wife, Linda, in the couple's seven-week federal retrial in Central Islip. The verdict came after five weeks of testimony and six days of juror deliberations in a proceeding that followed a mistrial in May.